As citizens from around the world concerned about our food and farming, we call on you to block the merger between Monsanto and Bayer. This merger is anticompetitive, is not in the public interest and will not serve the public good. Your action now can protect our food, our farming, our ecosystems and our health. You can't make this stuff up. The giant of chemical agriculture, Monsanto, wants to merge with the giant of Big Pharma, Bayer to create a huge frankenmonster corporation that would control our entire food system, and have unprecedented power over our governments and us! But two regulators in the US and EU have the power to stop this toxic marriage and both have stood up for citizens’ rights and the public good before. 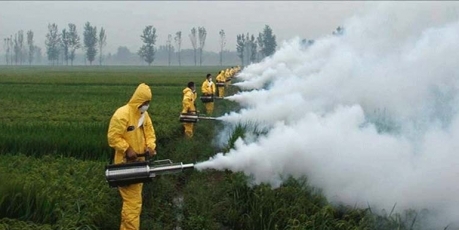 If we can mobilize 2 million people by the end of the week and bring it to the media, we could send a shudder through Monsanto and Bayer's lobbyists. Sign the petition.